Before and on your exam day, you have to remember about many different things. 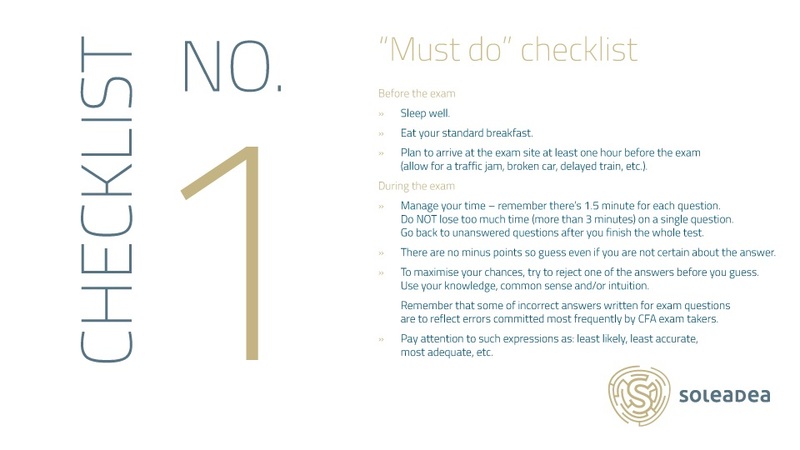 Our CFA checklists tell you what do to, what NOT to do, and what to take with you to your CFA exam. 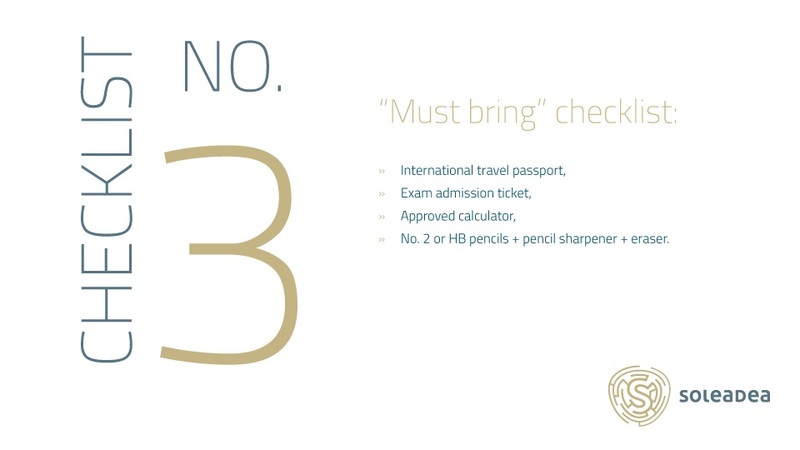 Here’s a detailed list of the ‘must-bring’ items by order of importance. pencils – sharpen them the day before the exam!